Stacey Agnew first joined the Nebraska FFA Foundation as the Executive Director in July 2011. 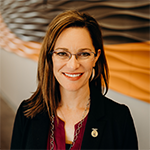 Prior to this position, she served as the Admissions Coordinator for the Animal Science Department at the University of Nebraska-Lincoln and spent several years at GlaxoSmithKline as a Senior Pharmaceutical Representative. She is originally from rural Palisade and began her FFA career as a Wauneta-Palisade FFA member. She served as the Nebraska FFA State Secretary from 1993-1994 and is a former FFA Advisor and an Ag Education Instructor. Sarah Mullen joined the Nebraska FFA Foundation in the Program Coordinator role in June 2011. She came to the Foundation from the Lincoln Journal Star Marketing Department. 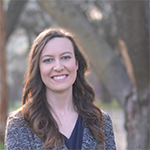 Mullen is a former Elgin FFA member and received her bachelor's degree in Agricultural Journalism from the University of Nebraska-Lincoln. Victoria (Talcott) Broders joined the Nebraska FFA Foundation in September 2017. 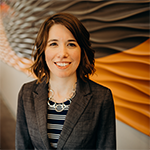 She graduated from the University of Nebraska-Lincoln in December 2017 with a bachelor's degree in Agricultural and Environmental Sciences Communication. She is a former Palmyra FFA member and still farms with her family outside of Bennet. 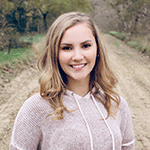 Abby Steffen joined the Nebraska FFA Foundation in January 2018. She will graduate from the University of Nebraska-Lincoln in December 2017 with a bachelor's degree in Agricultural and Environmental Sciences Communication and a minor in Leadership and Communication. Abby is an alum of the Crofton FFA chapter.